Canning food is a long standing tradition for people everywhere. It would be hard to trace the first group of people who started to can their food. Canning tomatoes is a nice way to preserve a big batch of tomatoes that came from your personal garden or fresh from the farmers market. 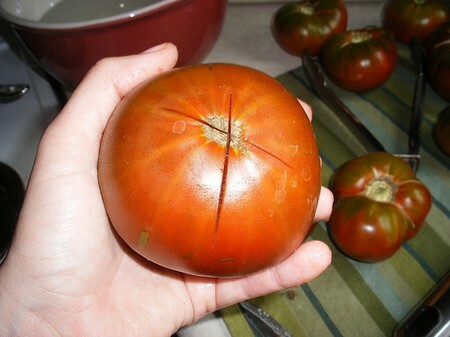 If you like tomatoes, you can even purchase the in bulf form from the produce section of your favorite grocery store. Canning tomatoes isn’t a difficult task. It’s simple in terms of the process and it will preserve that fresh off the vine taste that tomatoes have all throughout the colder months. Here is how you can learn to can tomato. Wash your tomatoes thoroughly under cold running water. Make sure to remove all traces of sand, grit, dirt or other debris that may have come from the garden or the farmer’s market. Blanch you fresh tomatoes in hot water. Use your large stock pot for this step. Fill the stock pot all the way with water. Bring the water to a boil and drop your tomatoes down in the water several times. Place the freshly blanched tomatoes under cool running water. The peeling should come right off. It will be easy to remove. You can probably use your fingers. Remove the core with a sharp knife. Put peeled and cored tomatoes in your large stock pot. Simmer the tomatoes on medium low heat until they are tender and soft. Don’t overcook them to mush. Ladle some of the hot tomatoes with liquid into hot sterilized mason jars. You will need to leave a ½ inch space from the rim of the mason jar. Now add in 1 teaspoon full of salt and 1 teaspoon full of sugar to the top of the mixture in the jar. Clean any tomato or liquid off the rim of the hot, tomato filled jar. Use a clean dish cloth. Now cap the jar. Use sterilized, hot cap for the jar. Secure the lid with a ring. The ring should be heated and sterilized as well. Screw the ring over the lid and twist down tightly. Make sure the lid is down evenly. 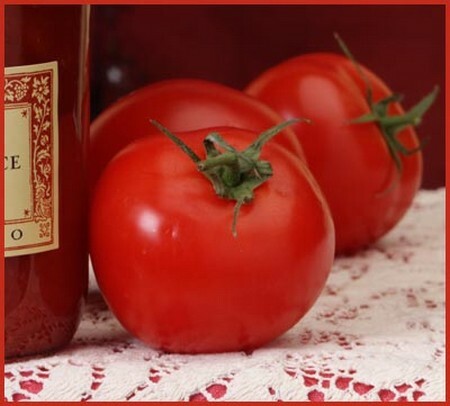 As the tomato mixture inside the jar cools, it will create a seal on the jar. Check that the seal is right my mashing down on the top of the lid. If the seal is broken or not fully formed the lid will make a clicking sound.